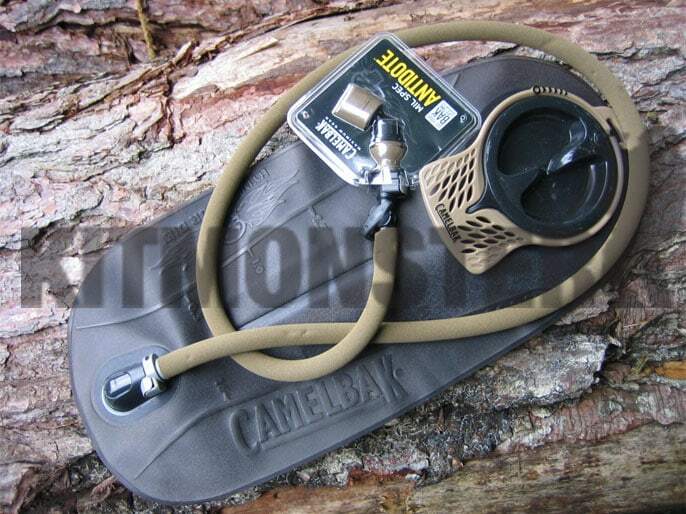 Genuine CamelBak brand 'Antidote' Mil Spec Hydration System. Discounted price for online sales, RRP is £49.00, therefore excluded from any other promotional discounts. Large sized, weight reduced 'Air-Light' filling port and lower profile bladder design for maximum stability. This listing is for the bladder and listed accessories only, no covers or carriers are included. Complete with CamelBak factory seal over bite valve. Special web site price for online orders only and therefore excluded from any other promotional discounts.